Who should Meryl Streep play next? The Norton Museum of Art’s latest exhibition could be the answer. It might seem at first the story of a poor little rich girl finally getting what she wanted or a study on the wonders money can do to procure recognition and fame. But it is not what it looks like. Unlike her New York City neighbor Florence Foster Jenkins, Gertrude Vanderbilt Whitney actually had a gift. 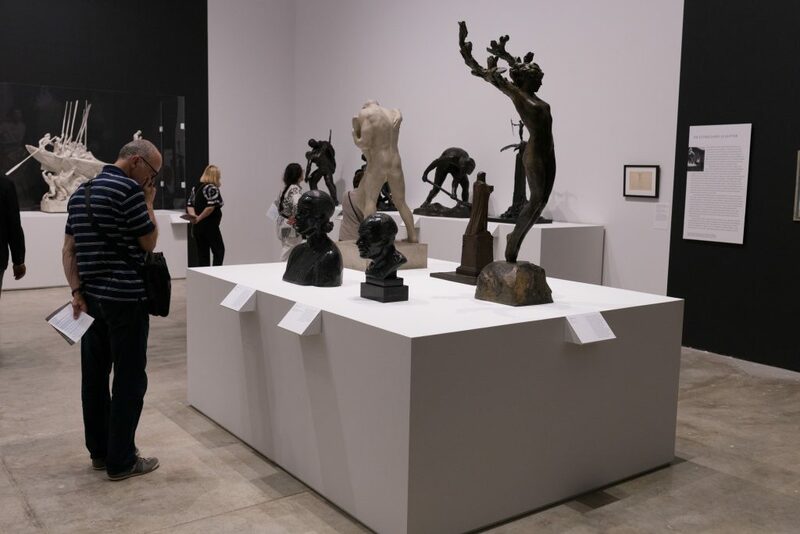 The products of her skill make up Gertrude Vanderbilt Whitney: Sculpture, which runs through April 29. That it wishes to earn the already iconic philanthropist and founder of the Whitney Museum of American Art acknowledgment for a less-known aspect of her life is clear. The exhibition features more than 40 of her classical and wartime sculptures and sketches, photographs and even the uniform she wore while serving as a nurse during World War I. Casts of her famous memorials and public monuments, such as the Titanic Memorial in Washington, D.C., and the A.E.F. (American Expeditionary Forces) Memorial honoring the 1917 landing of American troops in Saint-Nazaire, France, are also on view. 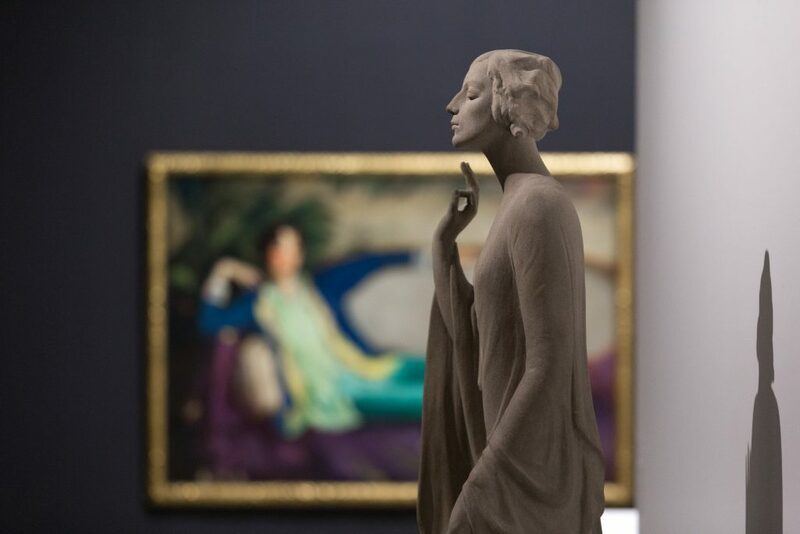 A side view of Chinoise (1913), by Gertrude Vanderbilt Whitney; in the background is Robert Henri’s 1916 painting of Whitney. A striking portrait of her by Robert Henri, located near the entrance, projects the defying nature of this unconventional woman who strived to be known as something other than a well-bred American socialite. “I have no cause to complain; I should not, perhaps, be doing the work that I am doing today if it were not for the battle I had to fight to show that I was not merely amusing myself,” reads one of her quotes from 1919. Money was not an impediment for Whitney in the typical way. Wealth might have freed her from having to work for a living and facilitated tools, space, and training – it paid for her clay designs to be turned into stone and bronze versions – but it did not offer automatic acceptance or instant praise. 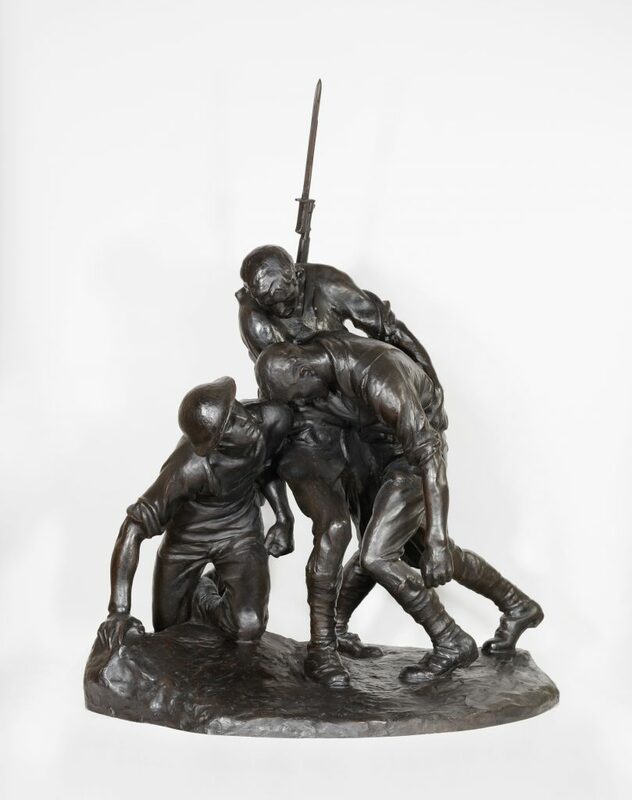 A man digging up the trenches that would give troops some refuge is portrayed in a bronze piece titled The 102nd Engineers, also known as In The Trenches. His emotional and physical strength illustrate a great determination. That resolve must have hit a note with Whitney, who at the time was fighting a storm of her own and swimming against the current. A similar sentiment is conveyed by At His Post (later titled Still At His Post) in which a soldier refuses to abandon his assignment despite the fact that he is clearly afflicted by pain and a stick is the only thing keeping him from falling to the ground. After a presumably long absence, a couple contemplates each other lovingly in Home Again. The soldier wraps one arm around the neck of his beloved as if to bring her closer for a kiss. 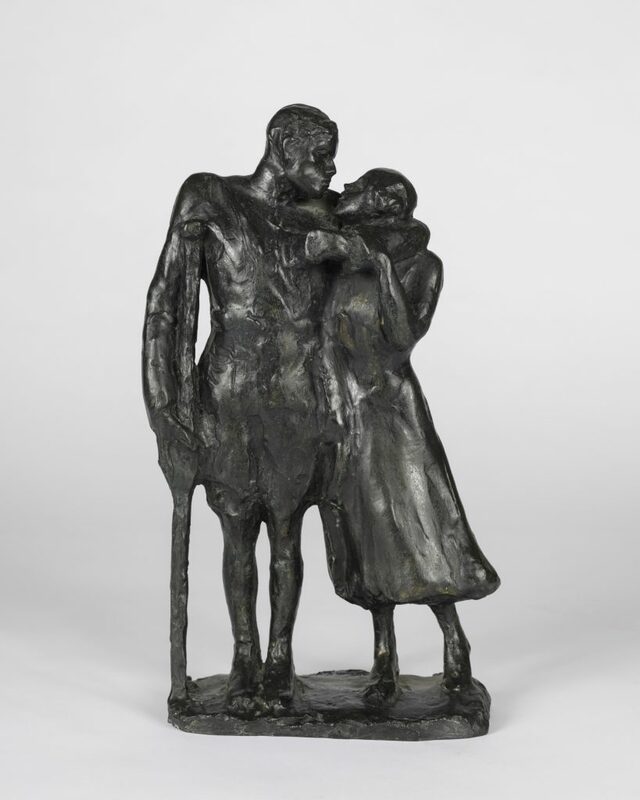 Despite leaning on a cane, the soldier and his darling both seem grateful for the chance to be reunited. It is a privilege not afforded to the protagonist of a dramatically charged piece titled His Last Charge, in which Whitney captures a fallen soldier at the moment the bullet strikes. His physical trained body is no match for the fatal weapon that already has his back arching in excruciating pain. 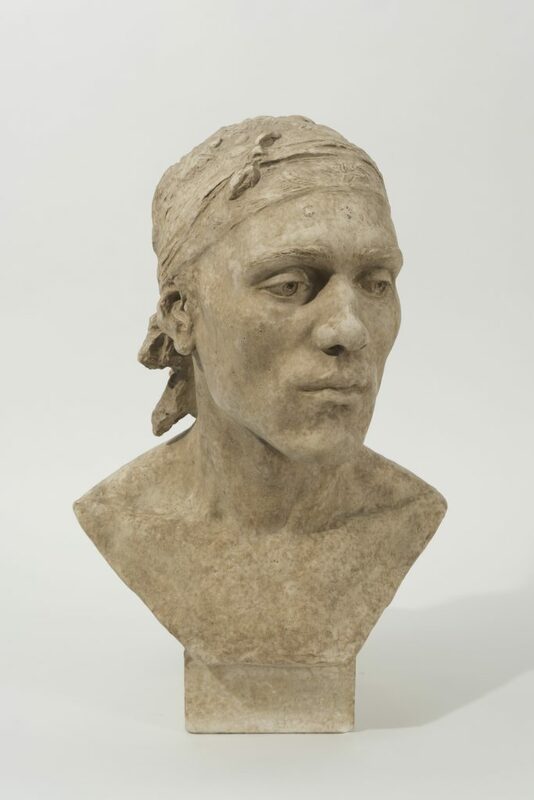 If it had been a matter of who you know, Whitney, the American sculptor, would be a familiar notion. Her art would have reached such heights everyone today would know her for her artistic abilities rather than for her art patronage and fortune. If we are honest, a scent of unfairness does hit the gallery room once in a while, and it is not coming from the fact that it has taken more than seven decades to showcase Whitney’s hidden talent. It comes from knowing this three-month window and space has been allotted to someone who – technically – already made it, as opposed to a deserving local artist. But one thing is certain. Anyone with fair sight would be crazy to deny the power of her sculpted expressions and gestures. Even with facial features that are not 100 percent realistic, it is easy to contract the emotions her characters feel and understand their joy and despair. The dents and marks are just enough to convey the reality triggering a feeling; they are not overkill nor aim for perfection. In fact, most of the sculptures shown come across as imperfect apparitions, but we can still hear the agonizing sound coming out of that gap standing in for a soldier’s mouth in the Washington Heights and Inwood Memorial model. The composition for this evocative war memorial was inspired by the artist’s experiences after founding a hospital for wounded soldiers outside of Paris. The bronze monument, dedicated in 1922, portrays a fatally hit soldier being assisted by two colleagues. The soldier standing up tries to restore his buddy to consciousness while the second soldier kneels in an effort to catch the collapsing body or perhaps to get a better look at the wound. The crucial role nurses played in restoring soldiers’ health is explored in the striking Spirit of the Red Cross, a three-figure piece from 1920 that places the caregiver figure at the center, in between an aviator and a soldier recovering from an injury. Her arm stretched over the injured man suggests she is still watching after him and speaks to her nurturing nature and sense of duty. Tell me you don’t picture Streep already doing it. 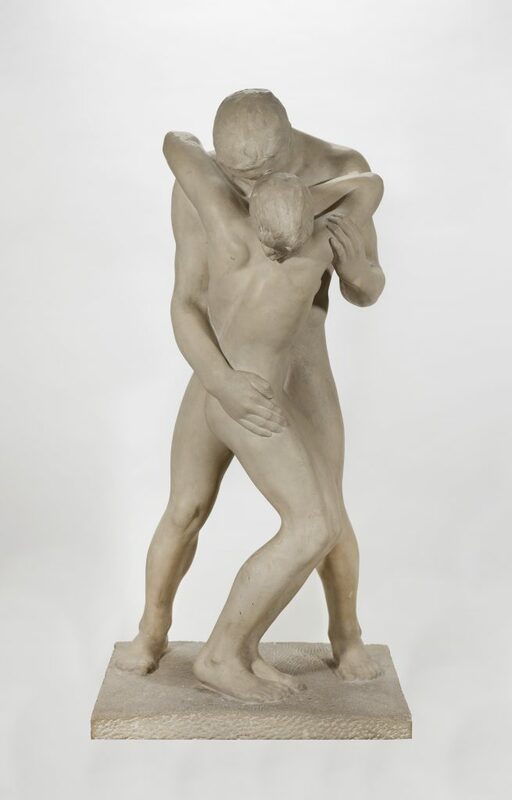 Gertrude Vanderbilt Whitney: Sculpture runs through April 29 at the Norton Museum of Art. Admission is free through 2018 as the museum undergoes extensive renovation and expansion. For more information, call 561-832-5196 or visit www.norton.org.